Here are all of the small details we could find! It’s been almost a month since we got our hands on Devil May Cry 5, and I still can’t stop playing the game! But now, let’s take a break from dishing out those combos while demon hunting and do a bit of easter egg hunting. 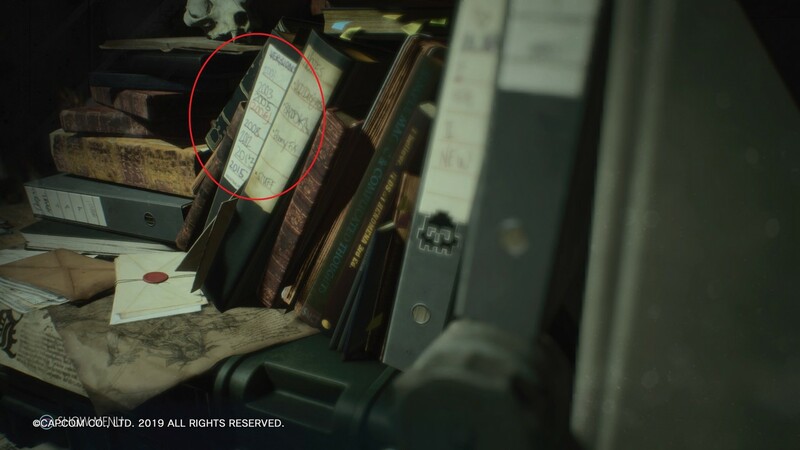 So drop that gun/sword and read on for the best references and easter eggs we found here at Devil May Cry 5. First, let’s talk about the things that are hard to miss. 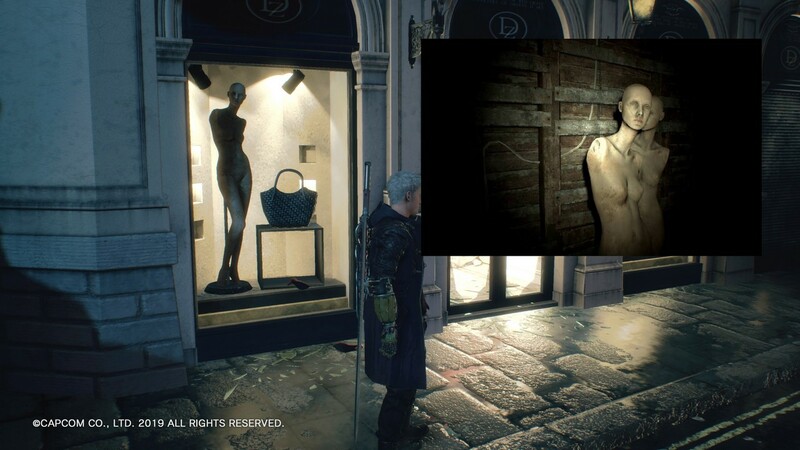 In Mission 2 as Nero enters Red Grave City, you might have noticed these boutiques with naked mannequins on display. If you ever wondered why they look so familiar, that is because you might have seen these creepy dolls from both Resident Evil 7. 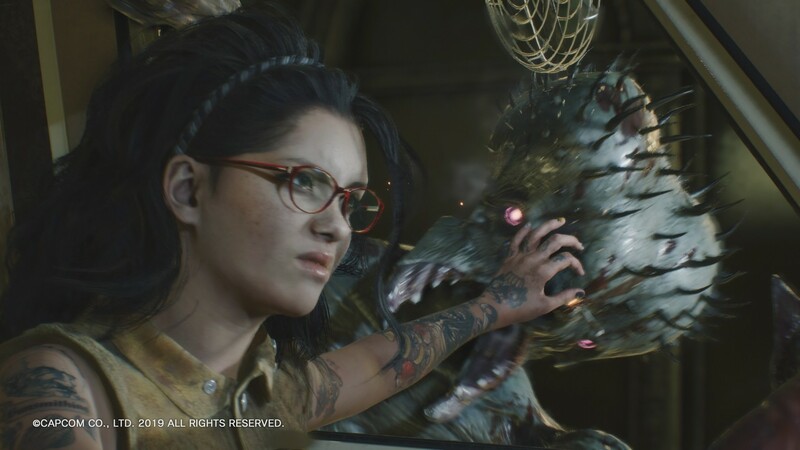 Since the game runs on the modified RE engine, DMC 5 might have borrowed some assets from both games, or maybe Capcom just put these dolls as a subtle reference much like what they did in the RE2 remake. This might be more of a cameo from the anime series, but it still deserves a mention. Patty, along with J.D Morrison finally made their first appearance to the main game! 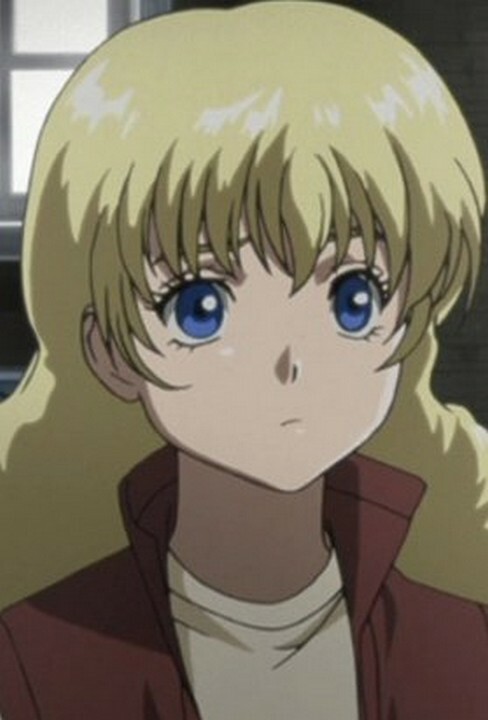 Though Morrison had an actual appearance and received a major redesign, we only got to hear Patty as she makes her voice appearance while calling Dante. In the call, Patty invites him to her 18th birthday which Dante avoided as he calls it a “Hellish Birthday Party”. 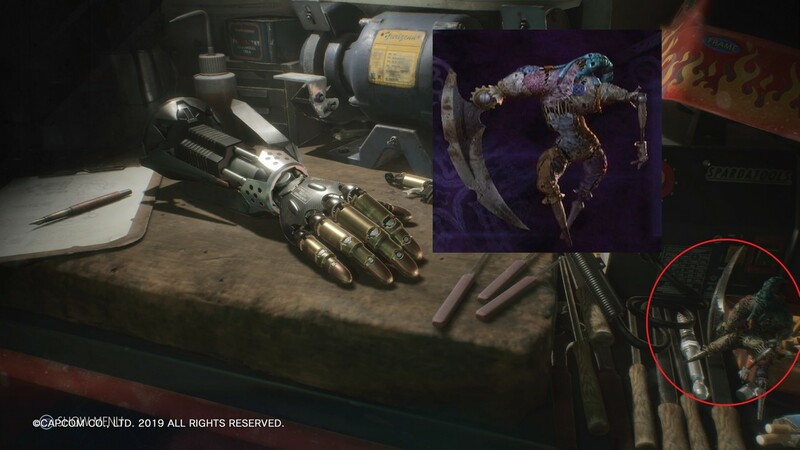 DMC 5 took lots of cues from the previous reboot DmC: Devil May Cry such as the use of training mode “The Void”, Dante’s Ex color that has the same pattern from his counterpart, Nero’s new design, and move-set of the last boss. 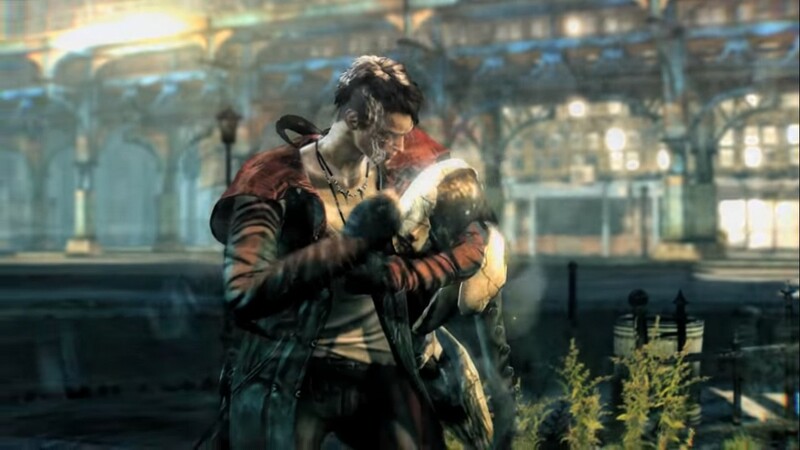 The biggest ode to DmC though is Nico’s smoking habit, specifically the scene where she jams a cigarette on a Empusa that mirrors Dante doing the same on a Stygian. In the same scene you can see a writing that “This game doesn’t promote smoking cigarettes”, but if you are sharp enough and noticed some newspaper clippings, you can see a ad that says “Smoking is bad for your health” a strong reference to the reboot. 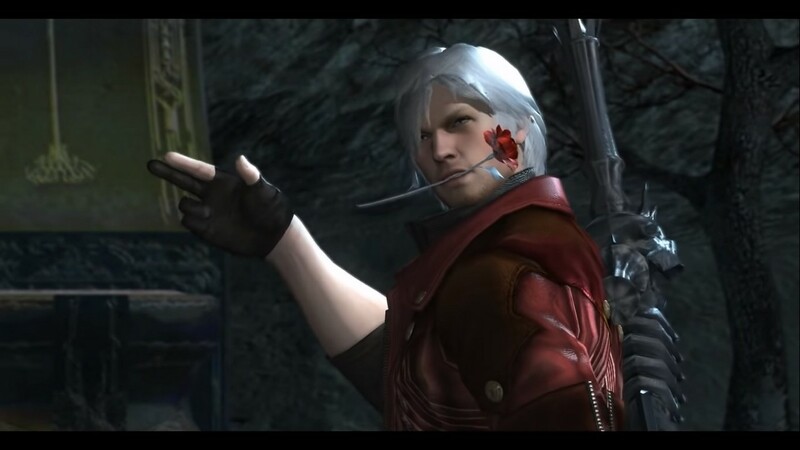 While playing as Dante, if you do an air taunt or reach a S rank and taunt while on the ground, you’ll see Dante throw a rose that will launch an enemy in the air if it hits. Obviously this is a reference on his previous Devil Arm, the Lucifer as one of the move-sets allows him to throw a rose in a similar manner. 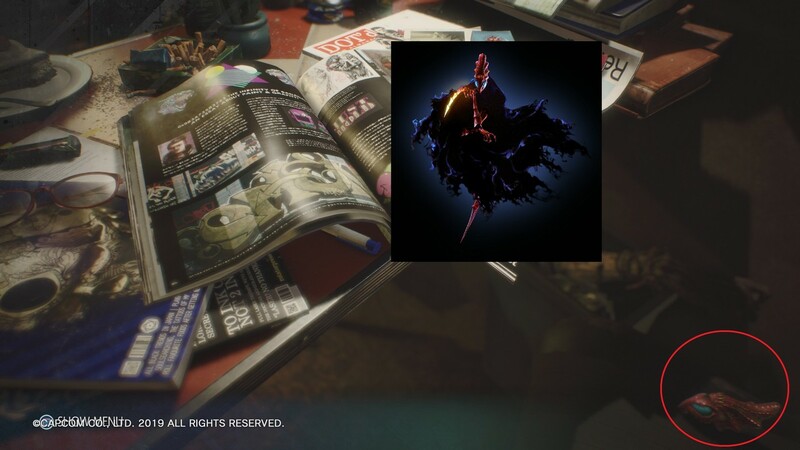 Most of the easter eggs can be found at Nico’s van, and if you look around you can see some enemies from DMC 4 particularly the Scarecrows, Mephisto, and the Gladius as they are scattered around nook and cranny of the van. If you look closely at the jukebox, you’ll notice one of the sticker bears a silhouette of a lady. This sticker is none other than Trish, and it’s also the first logo of Devil May Cry 1. 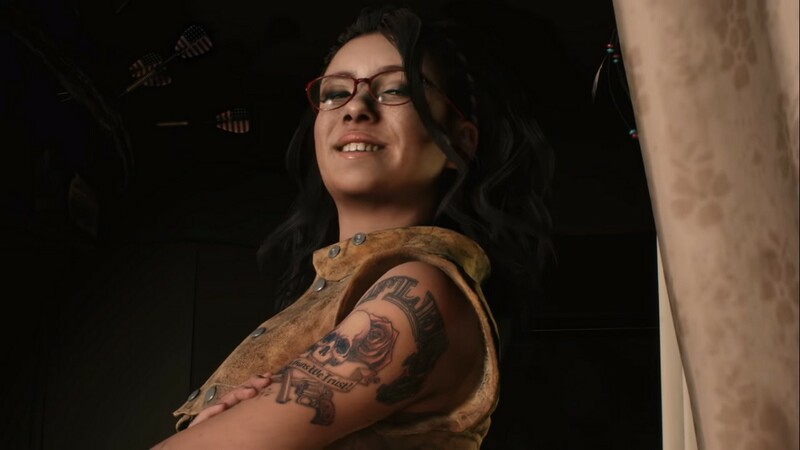 This one is easy to miss as it appears near the end during the cutscene where Nero and Nico having a little conversation. When the camera moves to the backseat, take a closer look near the beer bottle and you’ll see the Umbrella logo from Resident Evil. This shows a small relationship between the two games as the first DMC title was planned to be a new RE game featuring fantasy monsters but was later scrapped and turned into the game that we all know (and love) today. 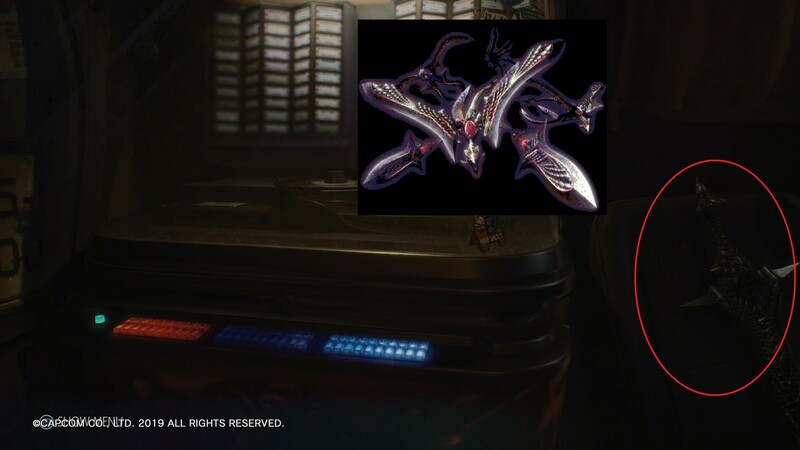 These are the just some of the few things we found whilemoving around while slaying demons, and there there might still be things that we’ve missed. If you found more, share it us!